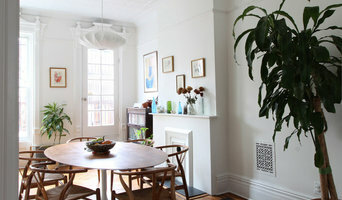 Atelier036 is a small hands-on award winning New York City based architecture and design studio. Our approach to every project is specific to the client, site, space, and budget. We are a full service design and architectural studio. We believe that in order to achieve a well designed, thoughtful project, an architect should be involved in all aspects of design, starting with project objectives, planning and space layout, selection of finish materials, built-in cabinets, custom furniture and lighting design. We begin with a "clean-slate” that leads to intense study, a process of discovery, and a creative approach to space, design and details. From start to finish, we believe that good design is only half of the process. 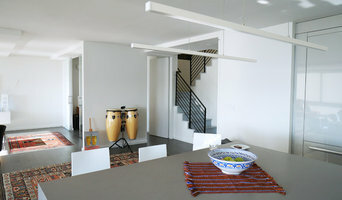 Selecting the right contractor and having the architect’s presence on site during construction (normally once a week) is a key part of a successful project. In addition, we provide immediate follow up with our clients both during and post-construction, providing a comprehensive service that leads to a successful outcome and an excellent relationship with our clients. Glickman Schlesinger Architects is an architecture, interior design, and product design company that produces design-driven projects with a strong emphasis on the craft of building and a high level of detailing. Design, efficiency, performance, and sustainability are crucial considerations in creating beautiful objects and spaces. Maletz Design was founded in 2008 as an architectural design studio specializing in New York City residential spaces. We care deeply for the quality of our architectural environments; natural light, uncluttered planes, and deliberately curated furnishings are design touchstones. Our approach favors quality over quantity, serenity over chaos, restraint over excess. There is nothing more precious than space in New York, and we want to make yours the best it can be. Our studio offers design services at all levels, from full-scale renovations to design consultations, so please get in touch if you would like to discuss your project. 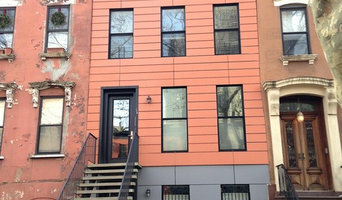 Naiztat + Ham Architects is a boutique architecture firm in downtown NYC. The partners at NHA (Diane & Alex) believe in balancing the nature of the 'art of architecture' with being a service industry, where the ultimate goal is a happy client. They maintain a diverse design aesthetic ranging from pre-war to modern and have a special excitement for interiors that use materials inherent in a building. The firm is commended for its ability to listen while remaining honest to the integrity of the structure. NHA is predominantly involved in high-end interior design (commercial and residential), as well as new building construction in New York City and the tri-state area. The office has experience working with other local architects and design archtiects nationally. 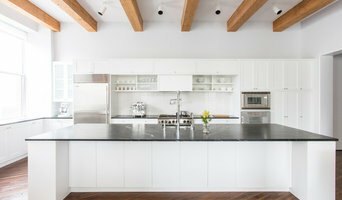 The firm's recent residential work includes full apartment, loft, and townhouse renovations in and around NYC, as well as large-scale house remodeling and ground-up houses on long island. The firm's attention to interior detail and stylistic range make Naiztat + Ham Archtiects one of the most desired firms in NYC. Forefront Designs has two locations: 350 Warren Street, Studio #11, Jersey City, NJ 07302 225 Lenox Avenue, Westfield, NJ 07090, (908) 789-9089 Forefront Designs, LLC was founded in 1996 by architect David Bailey. The firm has years of experience working on architectural projects throughout the New Jersey metropolitan area. Forefront Designs specializes in residential projects, renovations, commercial projects, additions, office buildings and interiors. Attention to detail, thoroughness of work, and the wishes of the client are the top priorities at Forefront Designs. Bringing over 20 years of high-end design experiences to New York metro area, I share your passion for family life and artful living. My goal is to create modern living with respect to architectural context and surrounding environment. A modernist at heart, my design emphasizes movement, flow and use of natural light. At the same time, I am sensitive to characters of the community where the project sets in. My approach is individualized and collaborative. I respect the lifestyle of each individual family and interpret it through customized transformative spaces and architecture. Detail oriented in design and project planning, I believe that with thoughtful design and careful planning, every project can be done successfully on time and on budget. I graduated from the University of Pennsylvania School of Design. I am an AIA member and registered architect in New York and New Jersey. Paredes-Grube Architecture has served the communities of Bergen County, NJ and the New York metropolitan area for more than twenty years, establishing the highest reputation among clients, contractors, municipalities, and allied design professionals. Xiomara Paredes works with intelligence and passion to ensure that clients realize their dreams within budget and on schedule for projects ranging from interior renovations and small additions to large additions high-end custom homes. We enjoy working in a wide variety of traditional and modern styles, with particular sensitivity to the character of our clients’ neighborhoods and communities. We take particular pride in designing alterations and additions that both enhance and blend with our clients homes. As a member of the Glen Rock Historical and Preservation Society, Xiomara also pays keen attention to historical detail during her design process. Paredes-Grube Architecture guides our clients through the full range of the home design and construction process. Gregory Colston, LEED AP has been practicing architecture for over 20 years. His design principles are predicated on some basic architectural ideas: "Simple concepts, singular moves, and layered materiality project spatial comfort and clarity without cogitation." Greg and his team are committed to a hands-on experience and the highest level of customer support. Gregory Colston Architect has worked on several multimillion dollar projects of varied architectural typologies. Dedication to environmental responsibility is fundamental to Gregory Colston Architect's philosophy. Constructing and operating buildings is resource intensive and GCA strives to minimize this impact. We design energy-efficient buildings and spaces that support sustainable technology and renewable materials. A growing public awareness of this mission and the proliferation of products and techniques for responsible construction is inspirational. We explore innovative and expressive ways to apply these technologies with out compromise of rigorous functional and beautiful design. Highly collaborative in nature, the firm approaches design as a dialogue between client, design team and site. Each project creates challenges and solutions that are relevant to the project environs and tailored to a clients' specific needs. If your project is an interior fit up or a ground-up structure, Gregory Colston Architect has the experience to deliver a successful and innovative project design. Zimmerman Workshop is an architecture firm based in Brooklyn, with projects as far up as Toronto and as far south as Houston. No matter the scope or size, we approach each project with the same core commitment: balancing excellence in design, feasibility, economy, and ecological and civic sensitivity. As a small practice, Zimmerman Workshop prides itself on experimentation and challenging the norm to deliver smart, unique alternatives to conventional solutions.